Merritt Tierce’s Love Me Back is heartbreaking. It’s gritty and raw and I found myself wincing at the situations the protagonist, Marie, put herself in. A mother at 17, she was always unsure of herself. She wants to feel something so she pushes herself as far as she can: at work as a waitress, in her relationships, mentally, and physically. She seems to have no regard for her own well being, yet she knows she is not being a suitable mother for her daughter, for whom she wants only the best. Marie feels like she is doing Ana a favor by putting distance between them when she can; she feels as if she doesn’t deserve her own happiness. Love Me Back reminds me a little bit of Jenny Offill’s Dept. of Speculation, in that there is little concrete plot, and more snippets of Marie’s life. It’s equally painful but far more intense to read. I wouldn’t say it’s a book for everyone, and it’s not a happy book by any means, but the prose is succinct, powerful, and beautiful in its own way. 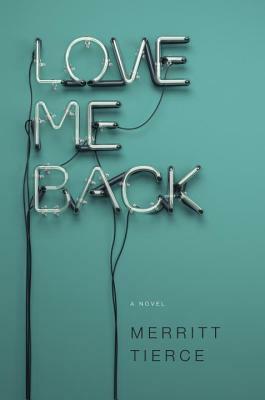 I also loved the cover, because even though the book is called Love Me Back , the sign isn’t lit. It’s perfect because it is clear from the beginning of the novel, when Marie tosses her loving husband aside, that she does not want to be loved back. I picked this out on Audible after seeing it on Bustle’s best books of 2014 multiple times. 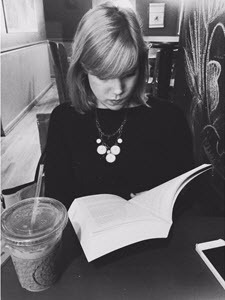 Merritt Tierce was also featured as one of the 5 Under 35, and this debut is I’m sure not the last we will be hearing from her. Love Me Back is written with a very personal feeling sense of urgency. Tierce has said that Marie’s character is based on her own experiences in the service industry, which is what makes Marie’s story feel so real. Like Everything I Never Told You, the audio makes this one feel even more personal because the narration is so spot on. This is definitely one I would say you need to be in a certain mood for, as it’s not a light read by any means. But it is one that is compelling and starkly honest, and will make you feel for Marie, even when she can’t feel for herself. I’ve seen very different opinions on this (people really loving it or very viscerally hating it), but I your comparison to Dept. of Speculation makes me understand that a bit more. I tend to like books that others have a hard time hanging on to, so something about it makes me think it could work for me. I think you might like it too! It is like Dept. of Speculation just a lot grittier, relationship wise. Love the cover of this one, especially the fact that it has so much meaning in regard to the actual story. I think more books should have that connection between cover and content. Anyways, great review! I love it too! It’s what drew me in honestly.